Whether you’re out for a relaxing vacation to put your feet up, or fun extracurricular activities that will leave you wanting more, All Ritmo Resort & Waterpark is what you’re looking for. It has the thrills to wow you and its beautiful coastal location has the sights to take your breath away plus a fantastic waterworld kingdom the kids will love. As you walk into the main lobby with the finely lain crimson tile stretching to the main desk, you’ll be struck by an awe-aspiring sense of ancient Greece with its giant archway’s and exquisite stone-work. 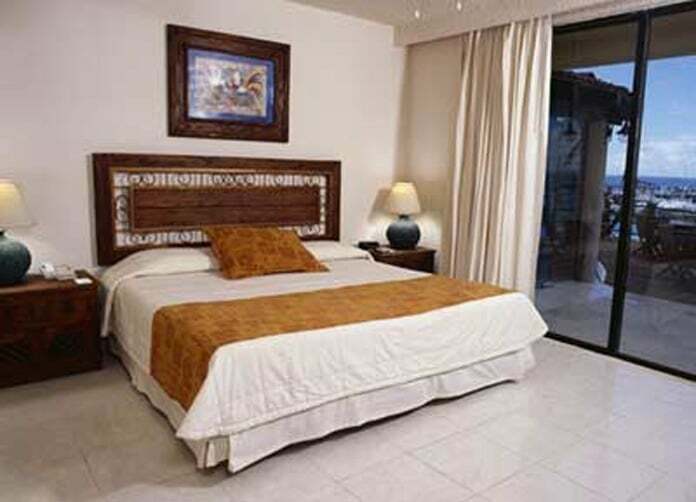 The room’s you’ll be residing in will relax every nerve as you take a deep breath of the ocean as it’s euphoric scent seeps through the sliding glass door from over the balcony to the wide gorgeous Caribbean beyond. With 3 room styles to choose from all equipped with a King sized bed or 2 double beds you’ll be sure to find the right room for you and your family. 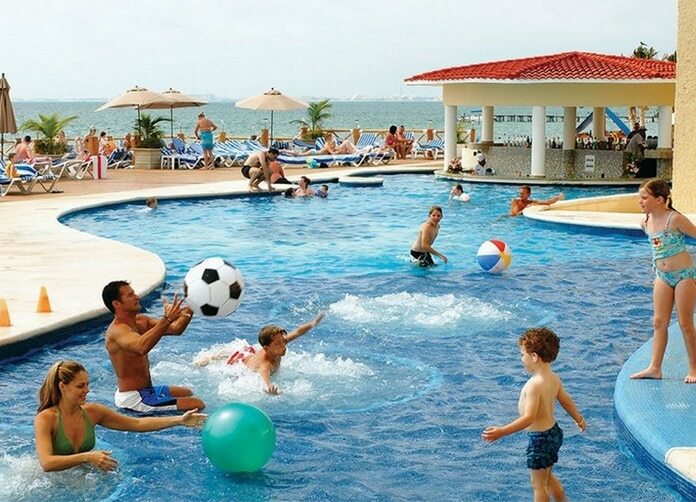 An all inclusive kids section could be a special ticket too, give the kids a chance to have some wild fun in the kids club and giant playground, and give yourselves the opportunity for a romantic walk on the beach as the sun sets on the horizon, or take a few lessons and plunge into the waters off the coast of Cancun. By no means though, should you feel compelled to only come thither with kids running to and fro, the All Ritmo Resort & Waterpark also has two excellent bars, including a poolside bar and a Tequila bar which not only has a wide selection of finely chosen tequilas but also a dance floor and DJ’s spinning on the sweet Caribbean serene. If you’re planning your special day at the beautiful resort take advantage of their wonderful wedding packages they have available. Whether you’re in it for a vacation, a wedding you could never forget or a waterworld treat for your kids. All Ritmo will be the answer you’ve been looking for. La Terreza: A restaurant just steps from the beach, this thatched roof, stomach settler provides an excellent array of fast foods including hamburgers and French fries hot dogs, nachos and more; as the sun sets the snack bar changes into a pizza and pasta specialist to provide a superb al fresco dining experience. Dinner Theatre:To satisfy the taste buds with a slight indulgence of entertainment, the Dinner Theatre can provide all that you seek. With themed dining, exotic cocktails and beverages, and live entertainment, you’ll be set….only until desert of course. El Palamar: Are your taste buds are craving a touch of exotic? 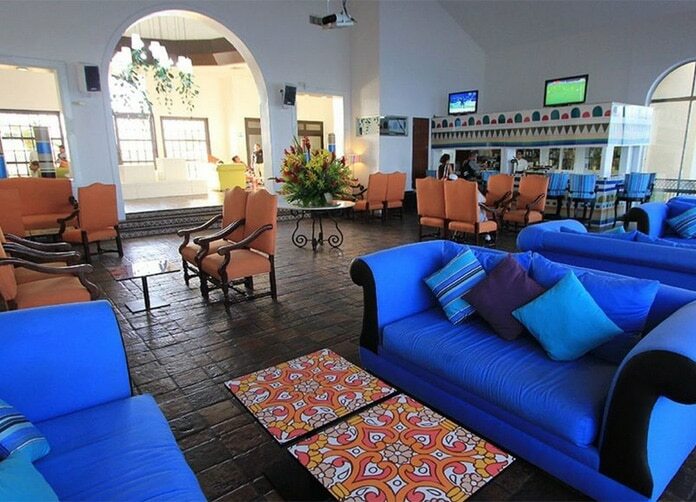 Enjoy the El Palmar, a restaurant providing an international cuisine – buffet style. Ostras & Oysters: All Ritmo prime fine dining center providing a romantic experience with a tantalizing selection of international and traditional favourites. 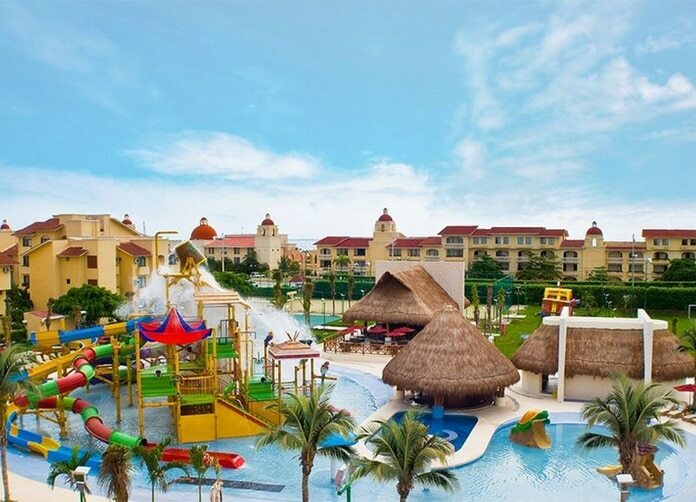 Take a Tour of All Ritmo Cancun Resort and Waterpark! Address: Km. 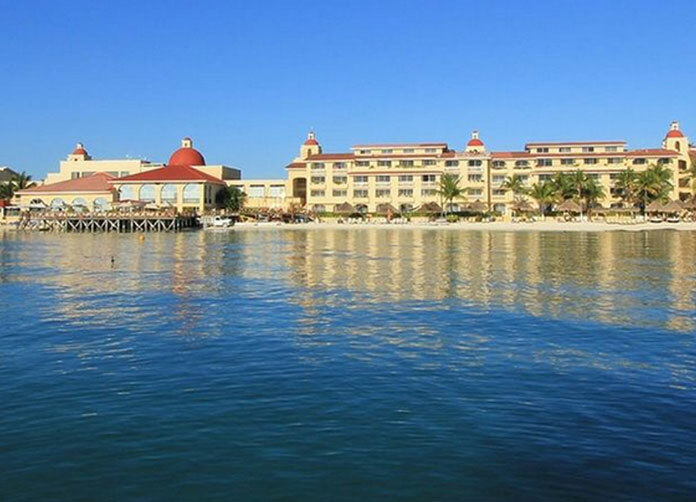 1.5 carretera a Puerto Juárez Punta Sam, Punta Sam. Cancun, Quintana Roo. Airport Distance: 35 Km. (21.88 Mi. ).